For more information, please call (334) 322-0824 or email bill.foster@aframsouth.net. 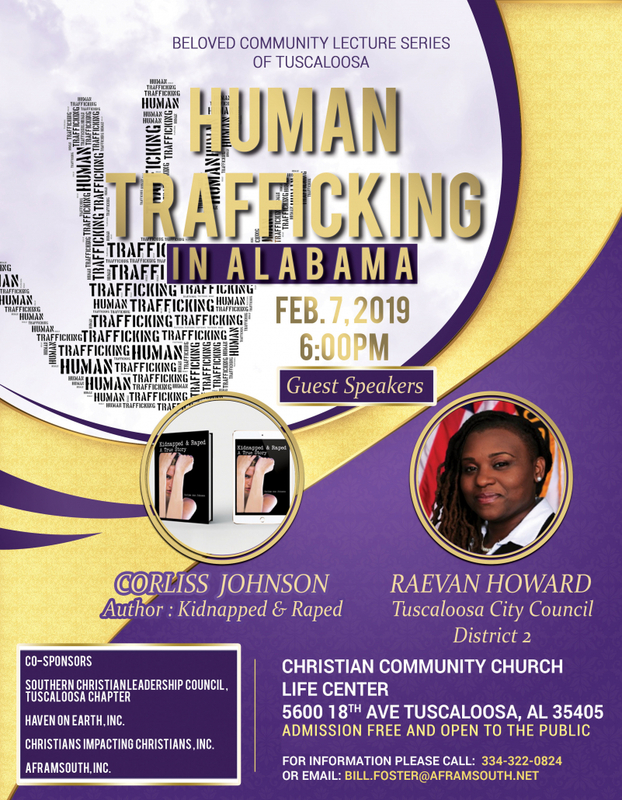 The Beloved Community Lecture Series seeks to provide Tuscaloosa with information and education relating to the major issues affecting our society lecturers/speakers include scholars, journalists, local, state, anl national leaders and theologians exploring the critical and the future of our children. Guest issues of our time. November 14, 2014, Christian Community Church, Tuscaloosa, AL.